During the development of compact metal halide light sources, Philips Lighting created the advanced prototype shown here, known as the "Thulium Lamp". It was intended specifically for use in commercial interiors in downlight luminaires, as an alternative to incandescent or mercury light sources. 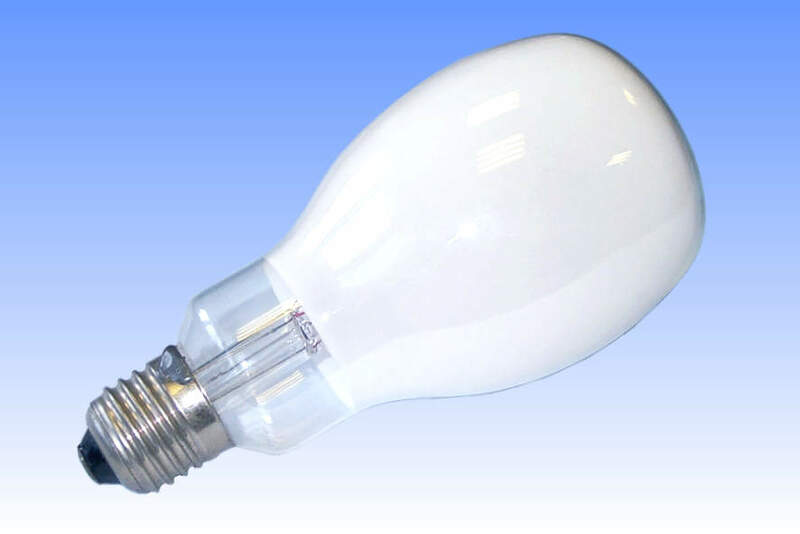 The reason for the unusual flattened bulb shape is purely aesthetic, its squared-off end region appearing much less obtrusive in a downlighter than the pointed end of the traditional ovoid bulb shape. 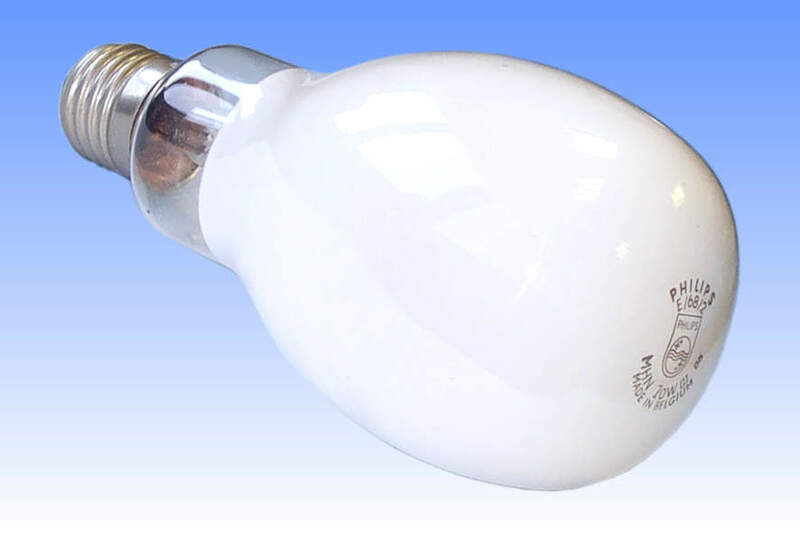 Technically, the lamp is the predecessor of the company's now well established rare earth metal halide chemistry. 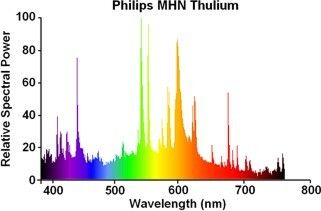 Delivering a neutral white light, it is one of the first embodiments of a light source employing thulium, which delivers improved colour rendering over the earlier dose systems, and with less colour variation as well. This sample was produced during 1985, still a few years before low wattage metal halides achieved popularity in the market. Over lamp life, thulium was found to be particularly aggressive towards the quartz arc tube, resulting in short life and many explosions. Its colour is also slightly greenish. Thulium was later tamed somewhat by employing it in conjunction with dysprosium and holmium, and because the flattened ovoid bulb could not be justified, a slim clear tubular bulb was decided on. Also included were two shatterproof quartz shrouds around the arc tube. This allowed the development of smaller luminaires which could be used without any front glass safety shield. The cap type was modified to a new pre-focussed 2-pin type to guarantee good optical positioning of the arc tube in a reflector, and the overall result was the Philips MHN-T single ended lamp.